Art of Animation offers a variety of family suites, which are perfect for large families. There are multiple bedrooms and bathrooms, plus a kitchenette. These suites come at a lower price than the Deluxe Villa category, making it a more affordable option for families. Caribbean Beach is great for families since this is one of the resorts that offer standard rooms that accommodate 5 guests. Families of 5 often have a hard time finding a resort that will work for them without paying a lot more for their room. All Star Music is the home to suites that accommodate families that are larger than 4. The other All Star resorts don’t have these room types, so this is definitely among the friendliest of the value resorts for these families. This will allow families to stay together without having to spend a ton on their resort. 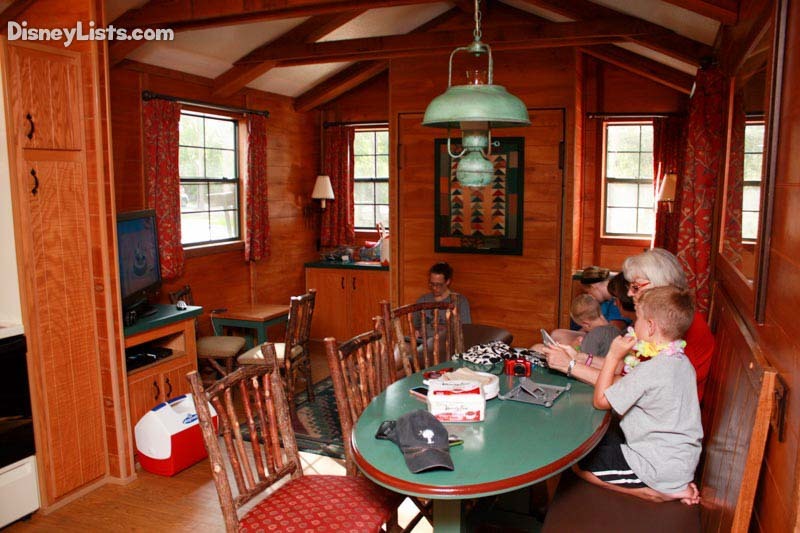 Fort Wilderness is a great option for larger families. You can stay in a cabin, you can camp in a tent, you can stay in an RV, etc. All of these options are great for families and tend to be more affordable, too! You can have large groups and can rent multiple spots if you are traveling with other families. The Beach Club Resort has it all. 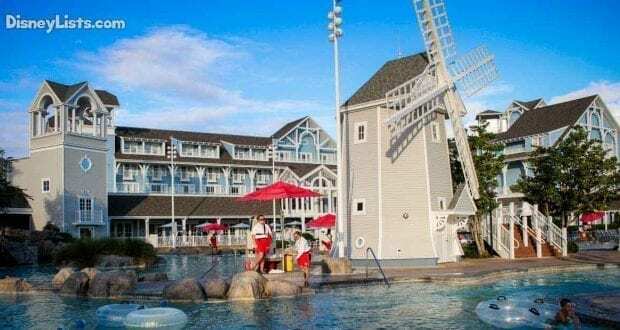 You can find rooms that will accommodate larger groups and there are a lot of amenities and transportation options at the resort, which makes the resort extremely accessible to other areas around Walt Disney World. Extra tip: Any of the Deluxe Villa resorts are great options for families since there are a variety of different Studio, 1, 2 or 3 bedroom options available. These can sometimes be on the pricey side, but if budget is less of a concern they can be very accommodating to larger families. Wilderness Lodge is a fantastic resort, but the room sizes aren’t very accommodating to a family that is larger than 4. There are only a few rooms that can sleep up to 6 and they are among the most expensive rooms. There are really no options at this resort for a family that is larger than 4. The resort is extremely small compared to others on property and there aren’t a lot of different room types and none that sleep more than 4. 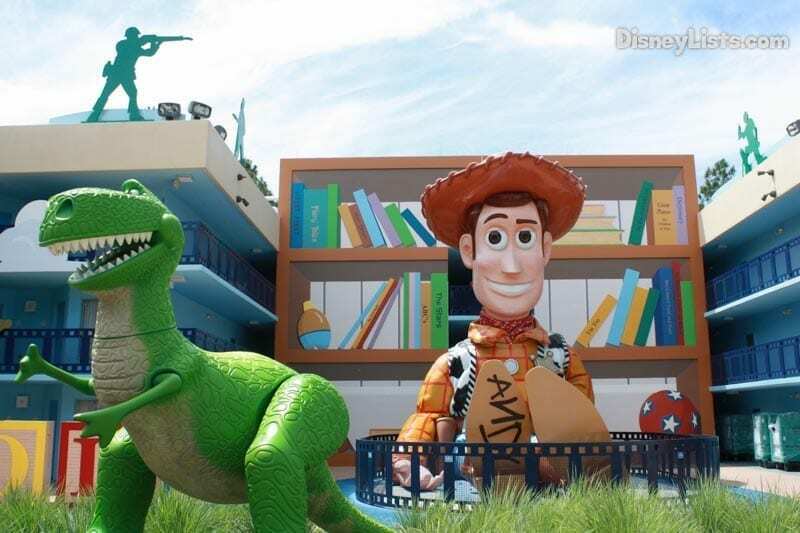 Unlike All Star Music, the All Star Movies and Sports resorts do not have any room options for more than 4 guests in a room. This makes a stay challenging for any family that is larger than 4 without booking multiple rooms. The same is true for Pop Century Resort. The rooms at the resort are mostly designed for families of 4, as this is probably the most popular size of a room that is needed. This is why this is definitely not one of the top picks for a larger family. While Animal Kingdom Lodge is one of the most unique and fabulous resorts on property, many of the room types only accommodate a max of 4 guests. They do at least have a few options for larger families, but the options tend to be on the more expensive side. Extra tip: Larger families can always check out the cost of booking multiple rooms if there is a resort that they really want to stay at. Guests will need to compare that cost option against other more family-friendly options to determine what makes the most sense.